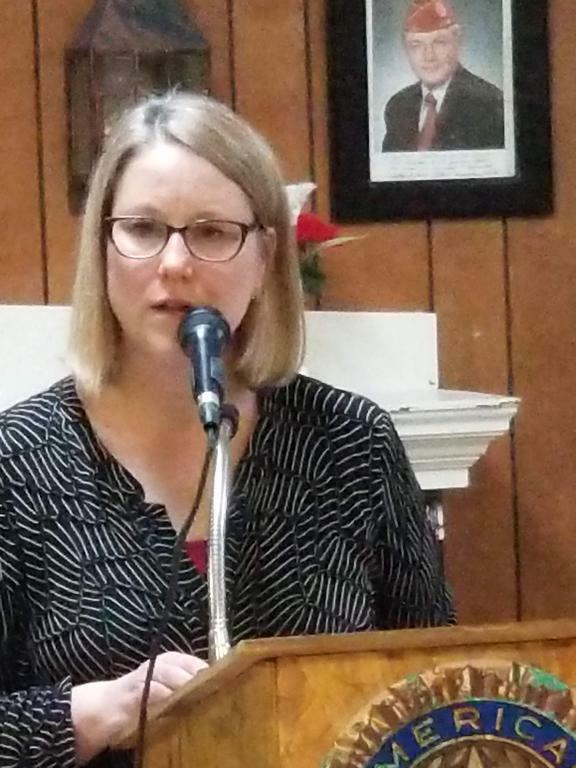 Maine Public journalist Jennifer Rooks, guest speaker March 6 at the Stephen W. Manchester Post 62 of the American Legion, addresses the group. The post meets on the first Wednesday monthly for dinner at its headquarters, 17 Dunn St., Westbrook. The Friends of Walker Memorial Library will meet at the library, 800 Main St., from 5:30-6:30p.m. Thursday, March 28. The group will plan for its annual meeting in May and its book sale during Westbrook Together Days. Anyone interested in supporting the library and learning more about what the group does is welcome to attend. Meanwhile, Friends of the Walker Memorial Library is offering a $300 scholarship to one graduating Westbrook senior to go towards books in either the fall or winter semester. To be eligible, he or she must be a library patron or have a family member who is. The individual just needs to write a letter telling the Friends what they plan to study and a memory of the library or how the library has benefited them. Mail the application to the Walker Memorial Library, Attention Friends of the Walker Memorial Library, 800 Main St., Westbrook, Maine, 04092, or send an email to friends@walkerlibrary.org. Westbrook Middle School’s Falcon’s Nest Food Pantry is sponsoring a food drive March 25 through March 30 at Freihofers Bakery Outlet 587 Main St. (Route 25), Gorham. Those who donate a non-perishable item will receive a coupon for a free loaf of bread. Suggested items include macaroni & cheese cups, microwavable meals, peanut butter, jelly, cereal. crackers, granola bars, Goldfish, fruit snacks, soups, pudding, canned vegetables, pasta and sauce. For more information, call Amie Boucher at Westbrook Middle School, 854-0830. The Maine State Button Society will host its annual button show and sale with the theme of “Bitten by the Button Bug” 9 a.m. to 3 p.m. Saturday, April 6, at St. Louis Alumni, 649 Elm St., Route 1, Biddeford. Raffles will be held every half hour. “Bitten by the Button Bug” show cards will be on display, with public voting on first place display card. Lobster and chicken rolls will be sold.